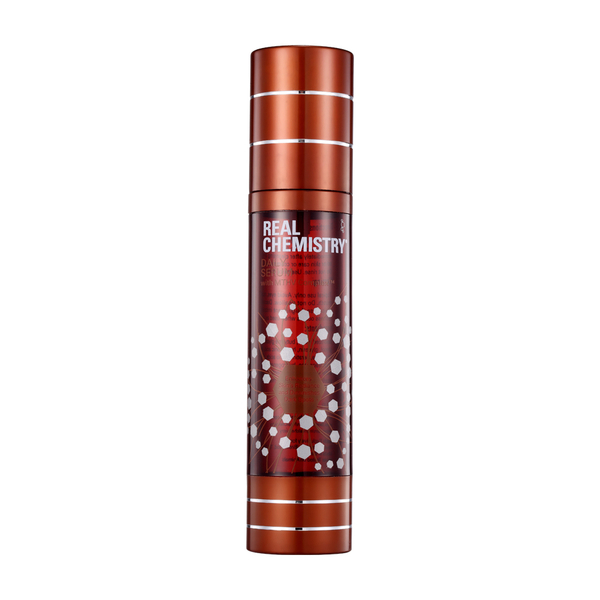 Real Chemistry's Daily Serum is a lightweight, protein-rich serum that works to improve the appearance of skin and protect from environmental aggressors. 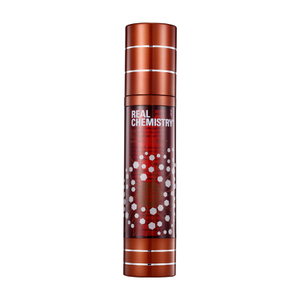 Fortified with a proprietary MTHV Complex®, the serum delivers a veil of invisible protection to keep skin safeguarded from oxidative stress whilst reducing the look of dark spots, fine lines and wrinkles. Expect a brighter, more even-looking complexion. Deionized Water, Butylene Glycol, Propylene Glycol, Glycerin, Hyaluronic Acid, Hydroxyethyl Urea, Keratin Amino Acids, Diazolidinyl Urea, Fragrance, Hydrogenated Castor Oil, Water-soluble Azone, Menthol, Hydroxyethylcellulose, Glutathione, Metallothionein(MT), Hirudin (HV).